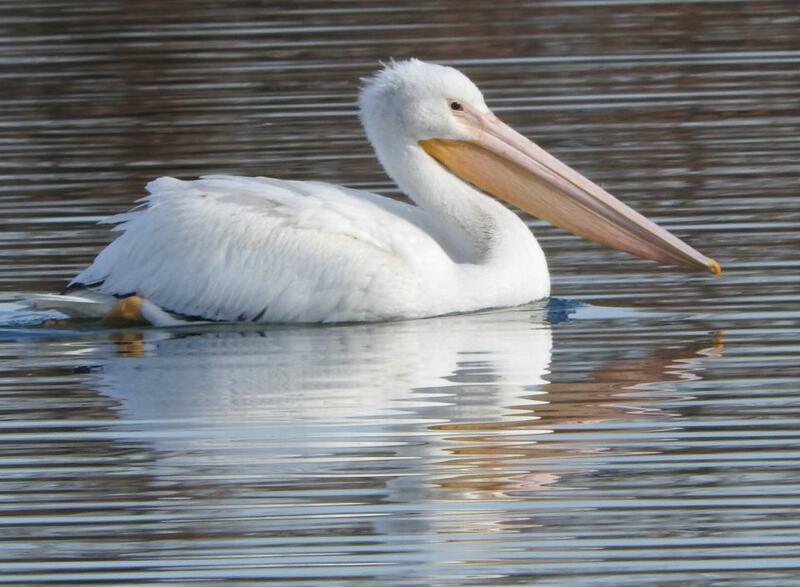 Until this month, I never knew of white pelicans. Then, a small flock of them used our neighborhood lake (north of Dallas, TX)for a few days en route to somewhere else. Notice the black on the underside of the large white wing. By the time I arrived at the lake, this was the only one still there.